It’s not all about London – there are quite a few up-and-coming hotspots in the buy-to-let market outside the capital that offer good yields and the possibility of a tidy profit when it’s time to sell. House prices in Bristol rose by 11.2 per cent in 2015, giving an average price of £238,200. This rise was better than Oxford and almost as good as London’s 13.3 per cent increase. Many Bristol graduates stay on in the city and lots of companies have their headquarters there, making it a vibrant and popular place to live. The safest bets for investors are Clifton in the city centre (two-bed flats sell for £350,000 to £400,000) or areas outside the city, like Easton, where prices are lower and therefore rental yields higher. The city centre’s Gun Quarter is attracting young professionals, and investors can buy two-bed flats for around £200,000. For out-of-town family houses, Edgbaston has £400,000 five-bed houses on offer, as well as good schools and improving shopping and healthcare facilities. Basildon house prices have gone up by 11 per cent, but the average price is just £214,392, so you can get a decent-sized flat or a small house for £200,000. The town has plans for redevelopment and it’s just 40 minutes from London’s Fenchurch Street train station. 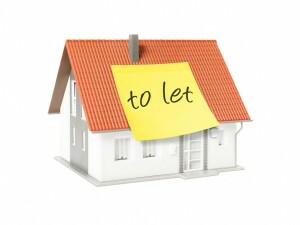 Landlords can expect rental yields of five or six per cent here. Always a favourite with commuters and landlords, Brighton is a lot cheaper than London. City centre one-bed flats start at £150,000 and have rental yields of around five per cent. Properties at the budget end of the market are always in demand, so there will be very few void periods. Three-bed terraced houses in Camarthen start at £70,000 (semis start at £115,000 and four-beds at £200,000). The town is close to the University of Wales Trinity St David campus and it will soon benefit the expanded West Wales General Hospital and S4C’s new TV studio. There’s also great beaches, lovely countryside, theatres and good shopping.